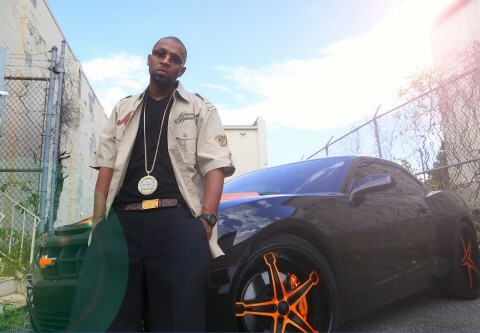 Drumma Boy is a music producer and rapper from Memphis. Here he is standing in front of his black 2010 Camaro SS with 22″ and 24″ Forgiato Martellato wheels. The car is all black with a very bright metallic orange color on the racing stripes, the chevy emblem, and the brake calipers. The wheels are also all black with orange trim. The car looks great with the simple and unique color scheme. I think Drumma Boy should remix Wiz Khalifa’s black and yellow song with a black and orange version.